Matt Granlund, AIA, joined HNTB Corporation as senior project architect. He is based in the firm’s Orlando, Florida, office. In his role at HNTB, Granlund will support the new South Terminal C, Phase 1, project at Orlando International Airport for the Greater Orlando Aviation Authority. 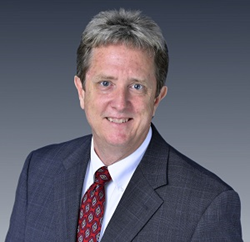 “Matt’s previous experience working on multiple projects at Orlando International Airport, and his knowledge of its infrastructure, will be a vital asset to HNTB’s team as it serves GOAA in the creation of a new world class terminal,” said Bill Brooks, PE, HNTB Southeast Division aviation leader and program director. Granlund has more than 20 years of experience in large, complex aviation and transportation projects that include the Los Angeles International Airport Midfield Satellite Concourse, Salt Lake City Terminal Redevelopment Project, and the Orlando International Airport automated people mover station that will connect the north terminal to the new south terminal. Granlund earned a Bachelor of Architecture from Auburn University. In addition to the $1.8B South Terminal C at Orlando International, HNTB has served on projects and programs for some of the most high-profile airports in the United States, including Miami International Airport, Los Angeles International Airport, Hartsfield-Jackson Atlanta International Airport, Charlotte Douglas International Airport and Dulles International Airport. The firm currently provides program management and construction management services for Dallas Fort Worth International Airport, and architectural services for Tampa International Airport. HNTB Corporation is an employee-owned infrastructure solutions firm serving public and private owners and construction contractors. With more than a century of service in the United States and 60 years in Florida, HNTB continues to grow in size and service offerings to clients from 13 office locations, currently employing approximately 460 full-time professionals in the state. HNTB understands the life cycle of infrastructure and addresses clients’ most complex technical, financial and operational challenges. Professionals nationwide deliver a full range of infrastructure-related services, including award-winning planning, design, program management and construction management. For more information, visit http://www.hntb.com.